Earlier this year, we surveyed more than 10,000 professionals who recently switched jobs. What we found – to the surprise of few – was that people of different ages switch jobs for much different reasons. Someone’s age also changed the way they changed jobs. For example, younger professionals were much more likely to look to the web for new opportunities; whereas older professionals were more likely to ask their friends. Younger workers tend to change jobs for different reasons than older workers, some of which are intuitive. Specifically, younger workers care more about career progression than older workers, most likely because they’re much earlier into their career than an older worker. Older workers, conversely, were a third as likely to switch to a completely new industry, compared to younger workers. Also, interestingly enough, the older the worker, the less likely they are to switch jobs for money. For the complete list, download the How and Why Did People Change Jobs in 2015 report. There’s also a generational difference in the way people switch jobs. Below is a full breakdown on how recent job switchers learned about their new job, per generation. 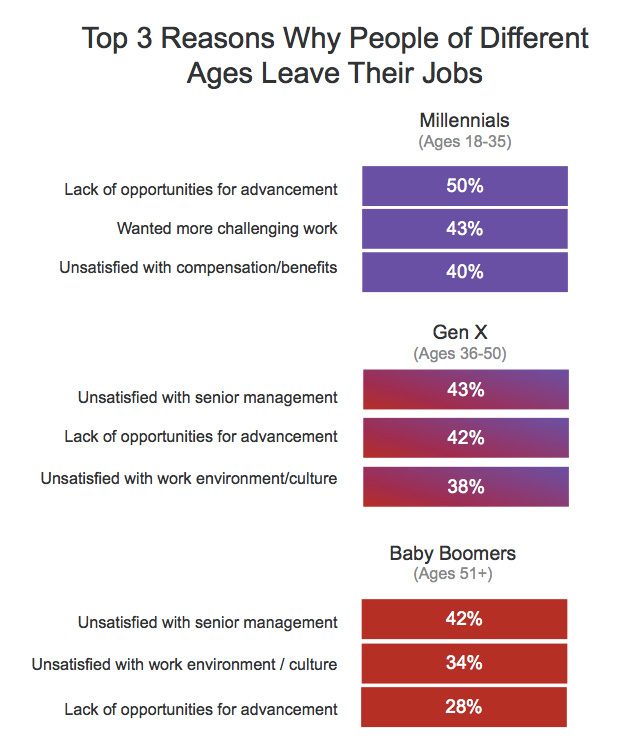 As you can see, baby boomers are most likely to learn about a new job via a friend, Generation X-ers are most likely to learn about new jobs from a third-party recruiter and millennials tend to learn about new jobs online. 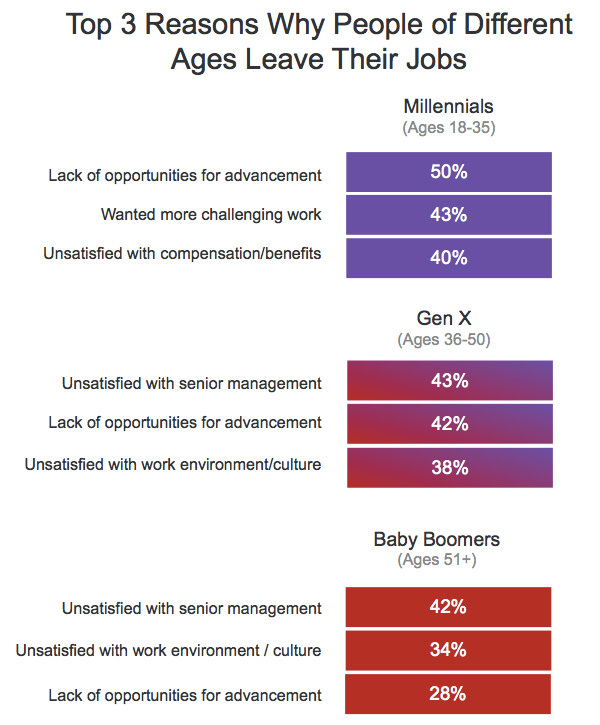 The data shows recruiters have to talk differently to millennials, as opposed to baby boomers. For example, millennials are more about the future – where can this job take me? – whereas baby boomers are more about the present – does this company really have the right leadership?. So, clearly, InMails and conversations need to vary depending on where a person is in their career. 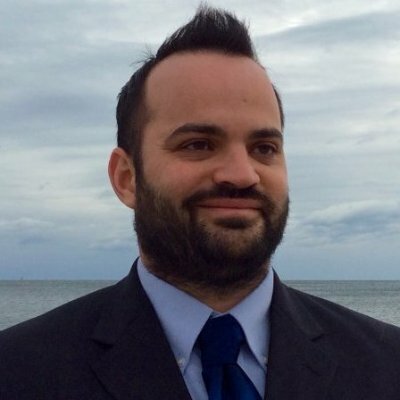 But there’s another takeaway too, and it revolves around where to invest your resources when advertising an open position. If you are looking for a position that wouldn’t require a lot of experience – i.e., a job for a millennial – your best bet is advertising it online. After all, that’s where millennials are looking. Conversely, if you are looking for a more senior level position that requires more experience – i.e., a job for a baby boomer – online isn’t the main place to go. Instead, you’d be better off asking your existing staff if they know anyone, as that’s the number one way baby boomers hear about new positions. Bottom line, as great recruiters know, the key to recruiting is matching your offer with the desires of the prospect. Clearly, the generation the prospect is in is going to factor into that, and should help inform your messaging.